Openers play a very important role setting up the innings. Their approach generally sets the tone for the innings and gives a clear idea about how the latter part of an innings will shape up. Australia are one of the most dominating teams in world cricket. They are also one of the most successful – in all formats. And one of the main reasons for this is that they have always had very good batsmen at the top of the order. Here, we look at 10 of the best Australian openers of all time. 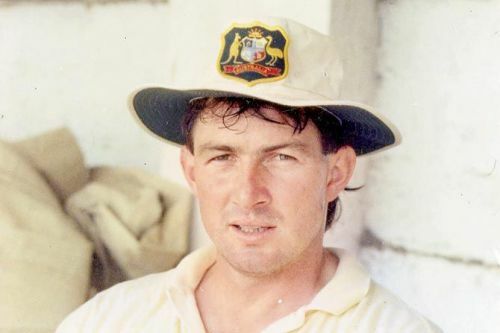 Geoff Marsh was a gritty, stubborn and tough batsman who was an integral part of the resurrecting Australian team under Allan Border. He made his Test debut in December 1985 after the trio of Greg Chappell, Dennis Lillee and Rod Marsh had retired. Coming into bat at No. 3 in his first couple of Tests against India, he scored only 56 runs in 4 innings. But after a poor start, he switched to open the batting and this move paid rich dividends as Australia found a stubborn character at the top of the order. In his first innings as an opener, Marsh scored a stubborn 92 off 304 balls at the SCG to defy the Indian bowlers. The Western Australian batsman formed two key and famous partnerships – first with David Boon and then with Mark Taylor. He scored 2854 runs at an average of 33.18 in 50 tests. These are not great numbers, but the way Marsh batted with a solid technique, he could be called what is known as a ‘stonewaller’.